Who has the edge in Game 7 -- Bruins or Flyers? The Boston Bruins and Philadelphia Flyers must feel like they're playing three playoff series in one -- with the rubber match tonight. Boston looked like it would cruise to victory after winning the first three games while trailing for only 99 seconds out of the 193:52 played. The Bruins even forced overtime in Game 4 by scoring with 31.5 seconds remaining in regulation. Little did they know what would happen next. Philadelphia won Game 4 in overtime, and then the next two in regulation to even the series. 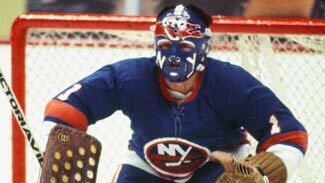 In all, the Flyers trailed for just 3:29 of the 194:40 in their three victories, which evened the series and made them the first team since the 1975 New York Islanders to force a seventh game after trailing 3-0 in a series. So who has the advantage in Game 7? The Bruins get to play at home, and home teams have won 80 of the 131 Game 7s in playoff history. But the visiting team has won the last four -- and all three this season, including Montreal's win at Pittsburgh on Wednesday. Boston's Mark Recchi has 2 goals and 5 points in seven Game 7s. His points total and four wins are the most among players on either team. Simon Gagne is the only active Flyer with a Game 7 goal (he has 1), and no current Flyer has won more than one Game 7 -- including defenseman Chris Pronger, who has lost five of six. However, that's still one more win than Boston captain Zdeno Chara, who has lost all four Game 7s in which he's played. Neither goaltender, Boston's Tuukka Rask nor Philadelphia's Michael Leighton, ever has played in a Game 7 -- no advantage there. Flyers coach Peter Laviolette is 2-1 in Game 7s (the loss came with the Islanders in 2002; both wins came with Carolina, including Game 7 in the Stanley Cup Final against Pronger's Edmonton Oilers in 2006), while Boston's Claude Julien is 1-2 -- and the one win came against Boston, in 2004, when he was coaching Montreal, while both losses have come with the Bruins. The Bruins also will be hoping this May 14th is luckier than the last one -- this Game 7 will be played exactly one year to the day Carolina beat the Bruins 3-2 in overtime at TD Garden in the seventh game of the 2009 Eastern Conference Semifinals. Endurance test -- Winning the Stanley Cup always takes endurance -- but that may be truer than ever this year. Even more remarkably, 10 of the 12 series played so far have gone at least six games -- something that never has happened under the current format. Cammy is dandy -- Not even the most passionate Montreal fan would put Michael Cammalleri on the same level with Guy Lafleur. But in the Canadiens' record book, they're now right next to each other. Cammalleri's 12 goals this spring are the most by a Montreal player since Lafleur had a dozen in 1975. His seven goals against Pittsburgh are also the most by a Canadien in a single series since Lafleur connected seven times against Buffalo that year. One difference -- Cammalleri's team won its series; Lafleur's didn't. Paying the price -- One reason the Vancouver Canucks are making vacation plans instead of travel arrangements is their inability to kill penalties during the playoffs. 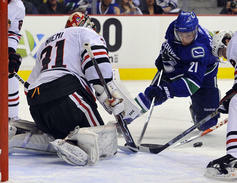 The Canucks surrendered 17 power-play goals in 54 chances while beating Los Angeles and losing to Chicago. Their 68.5-percent success rate is the lowest by any team to make the second round in more than 20 years. No Flower power -- The Montreal Canadiens knocked out Marc-Andre Fleury in their Game 7 win against Pittsburgh with quality, not quantity, of shots. The Canadiens managed only 13 shots against Fleury and 20 overall in their 5-2 victory, but they scored on four of those 13 shots against Fleury, who was a lot more proficient when seeing more rubber. Fleury is 6-1 with a 2.01 goals-against average and .943 save percentage in the last seven non-overtime playoff games in which he faced more than 30 shots on goal -- including 2-0 against Montreal and 3-0 in this year's playoffs. But he was 1-4 against the Canadiens when facing fewer than 25 shots, and the Canadiens were outshot by an average of 15 shots in their four wins. Finn-tastic recovery -- One of the secrets to goaltending success is not letting a loss or a bad game get you down. Judging by the way he's played this spring, Chicago rookie Antti Niemi is a fast learner. Niemi has lost four games in Chicago's first two series and allowed three or more goals in each loss. But he's bounced back each time with a superb effort -- including a 29-save performance in Tuesday night's series-clinching 5-1 win at Vancouver. Niemi is now 4-0 with a 0.75 GAA, .a 973 save percentage and two shutouts in his four starts following a loss this spring. * Philadelphia had to use two goaltenders for its Game 5 shutout against Boston. Brian Boucher made nine saves before going out with a knee injury; Michael Leighton made the last 14 saves in a 4-0 victory. The last combined playoff shutout was 55 years ago, when Montreal's Jacques Plante and Charlie Hodge combined to blank Boston on March 22, 1955. * There already have been four penalty shots this spring; there were none in last year's playoffs. * Mellon Arena became the first NHL facility to close by hosting Game 7 in a playoff series. * Chicago is in the conference finals again -- the Hawks hadn't made it in back-to-back years since 1989 and '90. * Detroit's Johan Franzen (6) and Chicago's Jonathan Toews (5) tied franchise records for points in a playoff game. Franzen had the first four-goal playoff game by any player since Anaheim's Joffrey Lupul in 2006.